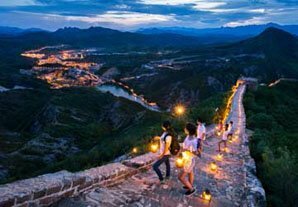 To get the most from the Great Wall, a must-visit China attraction, you should: 1) choose the section you visit carefully, depending on your fitness and interests, 2) visit the Great Wall in spring or fall for better scenery and weather and to avoid crowds, and 3) consider having a guide. 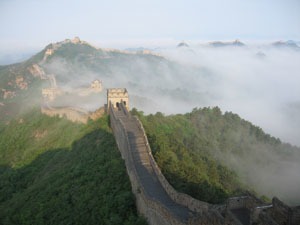 China Highlights offers you this advice and our service to plan a perfect Great Wall trip. Spring (April–May) in Beijing&apos;s mountains is cool/warm and the green plants and flowers make the Great Wall beautiful. You can also visit the Great Wall in summer and winter, if that would suit you better. Summer is peak season and popular sections get crowded. It&apos;s hot with bright sunshine and some downpours. Winter is very cold, even icy, on the Great Wall, but there&apos;s almost no crowding. 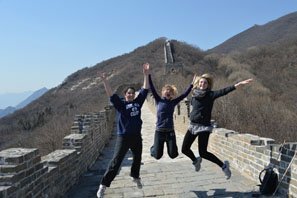 More on temperatures and packing tips for different seasons on the Great Wall. The Great Wall of China is very long and crosses nine provinces. The four most recommended sections are all around Beijing. See the table below to make a simple comparison and decide which section to visit. Tour buses may not take you where you want to go, and you are guaranteed a "Chinese tour experience" of being herded from place to place. We recommend taking a private tour. If you come all the way to China to see the Great Wall, why settle for a second-rate experience. China Highlights provides a tailored itinerary, comfortable air-conditioned transport, and one-to-one tour guiding, if necessary. 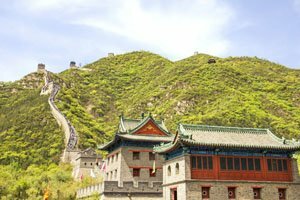 Learn more about How to Get to the Great Wall (Options & Costs). The Great Wall at Badaling, Mutianyu, and Juyongguan is (more) wheelchair-friendly. You could at least see some of the Great Wall near Beijing at valley-bottom level there. At the Badaling section wheelchair users can get to the first north watchtower by ramps. Wheelchair users should book the elevator service in advance. At the Mutianyu section there is cable car for wheelchair users ascending the wall and ramps to a platform below the 14th watchtower, from which you can appreciate the beautiful scenery from the Great Wall. At Juyongguan, the Great Wall Fortress area in the valley bottom can be navigated by wheelchair. Otherwise visiting the Great Wall in flatter areas is recommended for wheelchair users, like Shanhaiguan on the east coast and Jiayuguan in the western desert. It takes about 2 hours on average to get to the Great Wall from downtown Beijing. 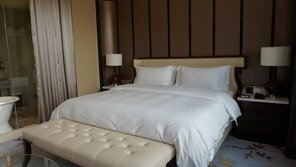 If you stay at a hotel near the Great Wall, you can enjoy the Great Wall when it is less crowded, in the early morning. 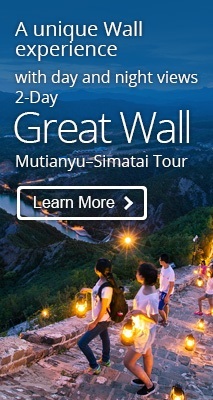 Simatai offers the best hotels and Great Wall night experience. Avoid traffic jams and lining up at the ticket gate. Appreciate the Great Wall in the early morning when there are no crowds. 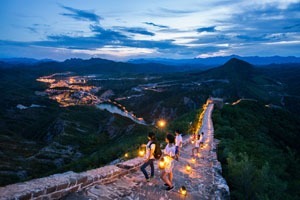 Enjoy sunset and night views of the Great Wall. You may prefer the nightlife in Beijing. It means changing hotel for a night. There is less choice of hotels (though there are some very good options near the Great Wall). 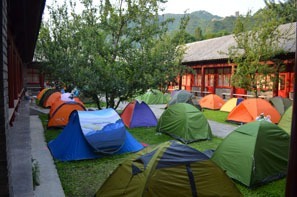 Camping is not allowed at popular sections like Mutianyu. Camping would need to be done at the wild sections (e.g. Jiankou, Gubeikou). Shops/guesthouses near the wild Great Wall are very rural and don&apos;t sell camping equipment/supplies. Campers would have to carry tents and everything else needed on the uneven and sometimes steep Great Wall paths, which is very strenuous. Beware trips and sprains, and dehydration. Carry lots of water. At restored sections there are many restaurants and hotels that providing local food and a place for travelers to stay at. Restaurants at the Great Wall may not meet the standards of those in downtown Beijing, but you can try local dishes there. Wild sections don&apos;t have restaurants or hotels, so you need to bring food if you are planning a Great Wall hike. 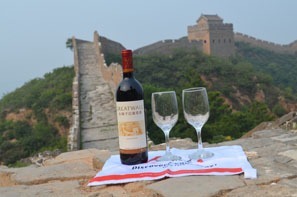 We can help you arrange a unique Great Wall tour. Some Great Wall sections are well-restored, like Badaling, Mutianyu, and (part of) Jinshanling. But, as the Great Wall is in the mountains, it&apos;s difficult to go there independently. At wild sections there is a real possibility of getting lost without a guide, and getting there on your own would be very difficult. Also, as the Great Wall is rich in history and culture — far more than just a scenic attraction — you should have a travel guide to explain and relate stories about the Great Wall in context to get the most from your trip. 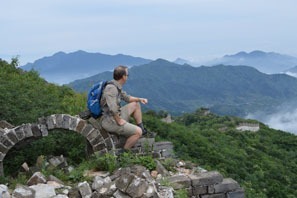 Explore the wild Great Wall at Gubeikou, and you will have the Wall to yourself. The Great Wall is quite far from downtown Beijing — it takes about 2 hours to get to the more beautiful, less-crowded sections, where you are suggested to take a hiking trip. 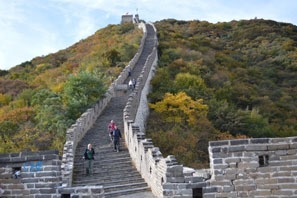 Hike the Great Wall at your pace with our private tours. 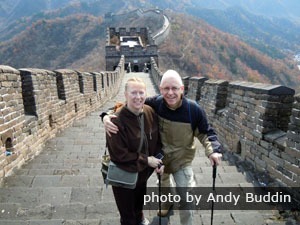 Or you can tell us your interests and requirements and we will tailor-make a Great Wall tour for you.